You will stay in the château, which we have restored lovingly since 2005. Freshly renovated, individual and stylish rooms furnished in keeping with the building's character are available for you in the château. The rooms will provide you with perfect comfort. 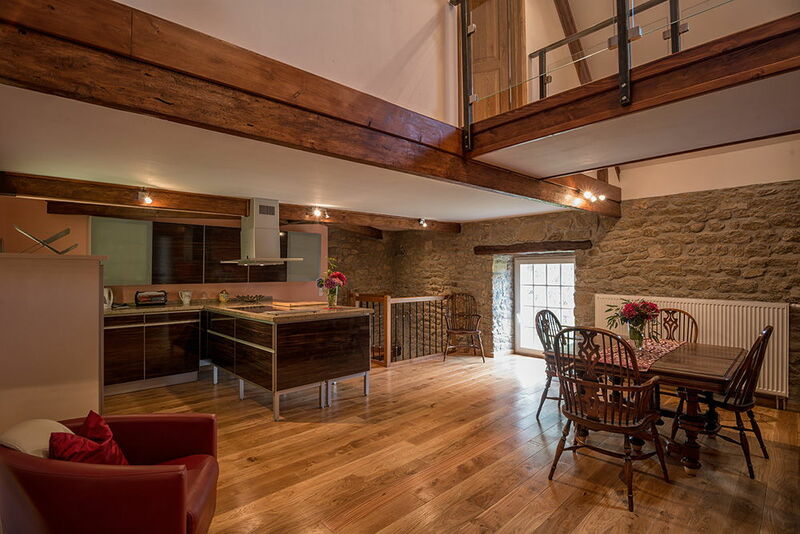 The apartments have a stylish atmosphere of well-being and relaxation in peaceful surroundings. Accommodation is available for 2-4 people in the château tower "Tour Boishardy", for 2-6 people in "Suite de la Roche" in the main building, or for 2-5 people in the "Junior Suite". The château combines style, history and exclusive comfort for your holiday. Nestling in a landscape of hills, rivers and lakes, Château de la Touche in Côtes-d'Armor can be found not from the Atlantic coast. The château was built to its present size from 1579 onwards and served as a seat of office for Count Christophe de la Roche, a royal knight and a parliamentarian of Brittany. The splendid building in Italian Renaissance style boasts medieval protective features such as a parapet, abutments for a drawbridge and moats. The large fireplaces, bright rooms on the first floor, heightened windows, elegant pediments and roof shapes are a particular delight. 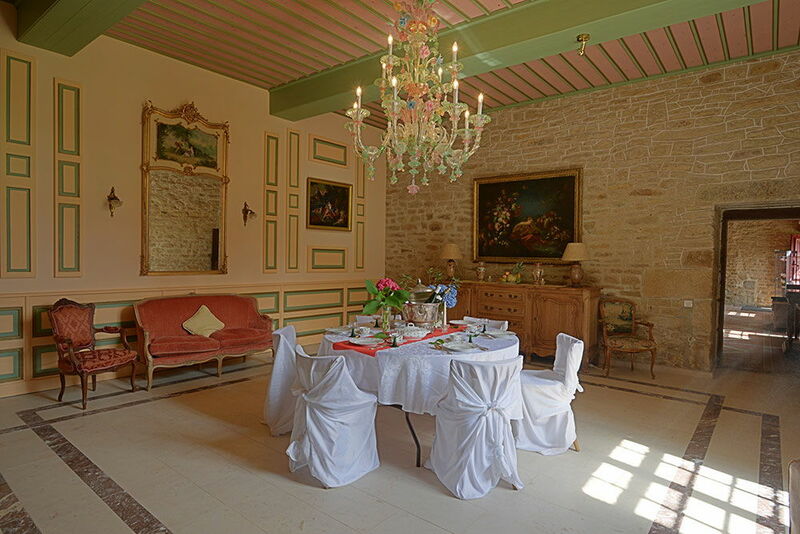 They make the château an ideal place for celebrations, holidays, seminars and concerts. Allow the tree-lined avenues, château park and exotic garden to entice you into taking an exploratory stroll. Celebrate and enjoy whilst experiencing history. Welcome to our château, because celebrating, getting married or spending time in this romantic spot is an expression of a special approach to life, of one's own individual lifestyle. 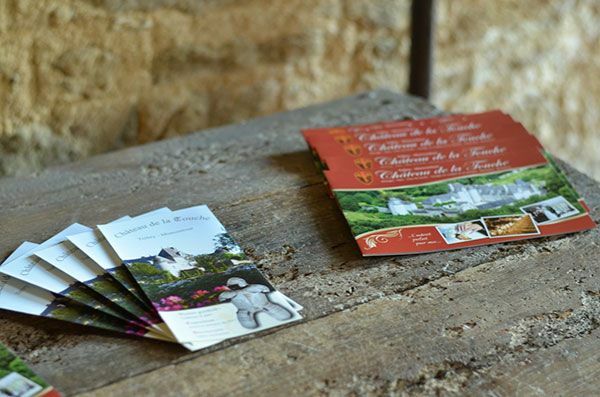 Whether in the park or in the château, Château de la Touche offers you an elegant setting as well as tangible living history for those special moments. We are happy to provide you with settings for receptions and events of all kinds which are suited to your individual needs. Set your event in the elegant atmosphere of the château park, for example, or against the unique backdrop formed by the château courtyard. Alternatively, make use of the whole ensemble with the adjoining historical rooms. There are no bounds to your imagination. Talk to us about your event in the château or the château park.